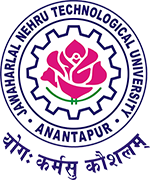 JNTUA Postponement of Examinations scheduled on 11.08.2015, all examination scheduled on 11th augusst postponed & rescheduled dates intimate shortly. 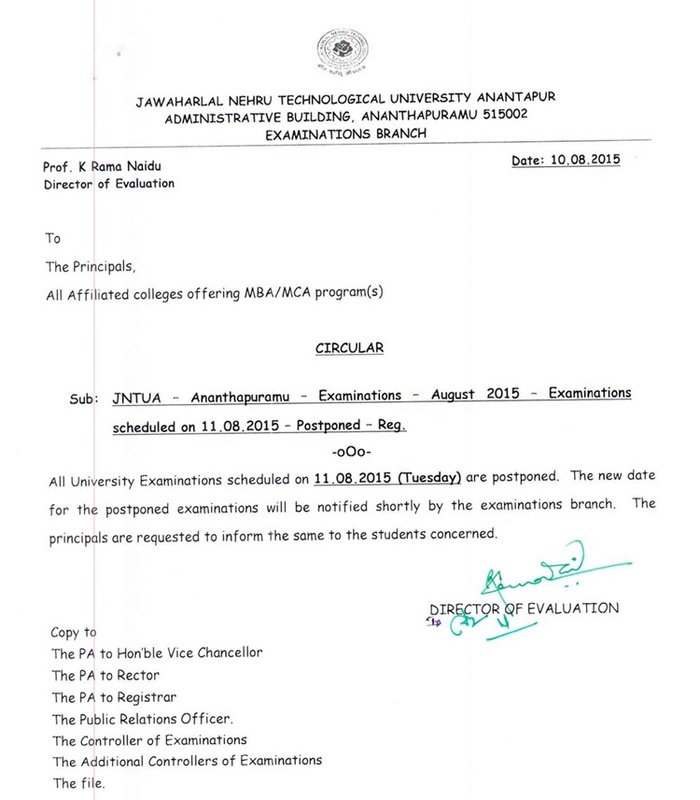 All University Examinations scheduled on 11.08.2015 (Tuesday) are postponed. The new date for the postponed examinations will be notified shortly by the examinations branch. The principals are requested to inform the same to The students concerned.